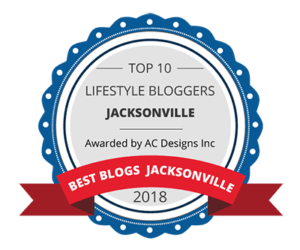 I recently had the pleasure of sampling the new winter menu items at one of my favorite restuarants at the St. John’s Town Center. 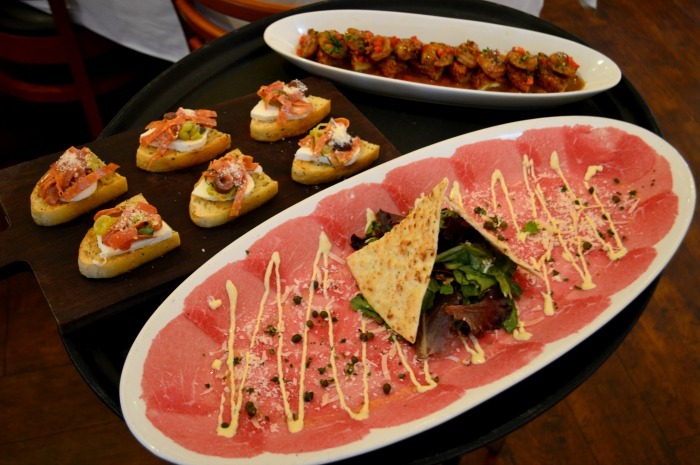 Brio Tuscan Grill continously lives up to the meaning of their name by providing “lively” or “full of life” Tuscan dining experiences. Along with some of my favorite, fellow influencers from around town, we enjoyed an afternoon of good company, good laughs, and good food! 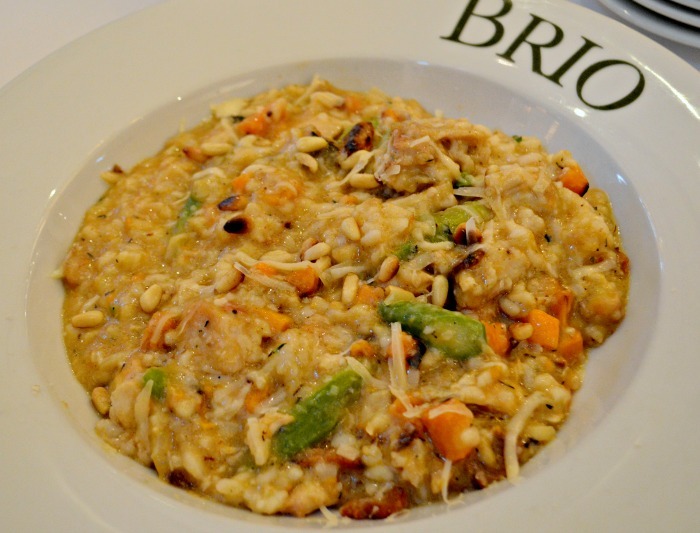 We tried several of the classic Tuscan dishes and indulged in the new delectable risotto dishes from their winter menu. From now until March 25th, you can do your tastebuds a solid and follow suit! Let’s get right into these dishes shall we?!?! I have to start off with this beautiful dish. It was as enjoyabe to eat as it was to look at. I mean it is literally picture perfect. Sheer lusciousness! 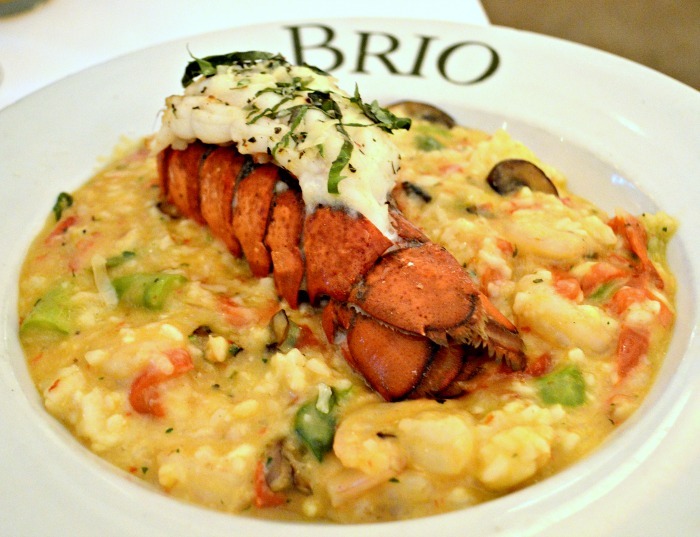 This risotto was made with succulent lobster and shrimp, mushrooms, red peppers, asparagus, and basil. It was jam packed with flavor and was definitely the crowd pleaser. It was easily my favorite of the evening and it goes without saying that I will return to it the next time I visit Brio. It was pretty hard to choose but if I had to, this would be the dish that was my second favorite for the evening! The pan seared scallops were cooked to perfection with ratatouille vegetables, basil, and red pepper. 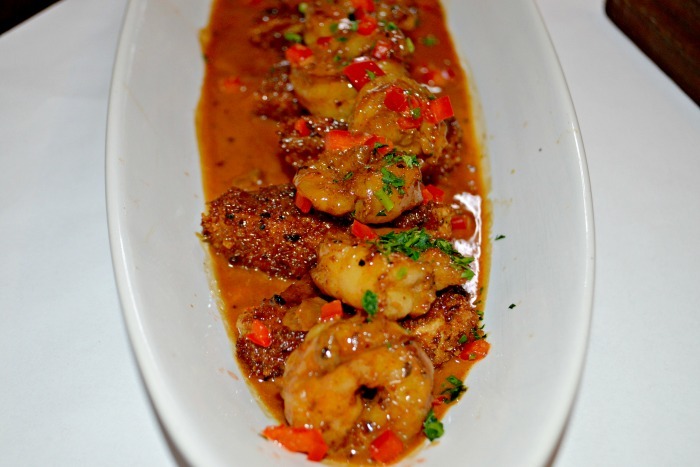 The flavors were magical together and with the tender scallops, it literally melted in your mouth. This was another star! I loved the flavor of the grilled salmon. It also had mushrooms, asparagus, red pepper, and basil in it. All flavors for a killer risotto. As a matter of fact, the next time I make risotto at home, I will be sure to add mushrooms, asparagus, and basil to the dish. The work together perfectly. 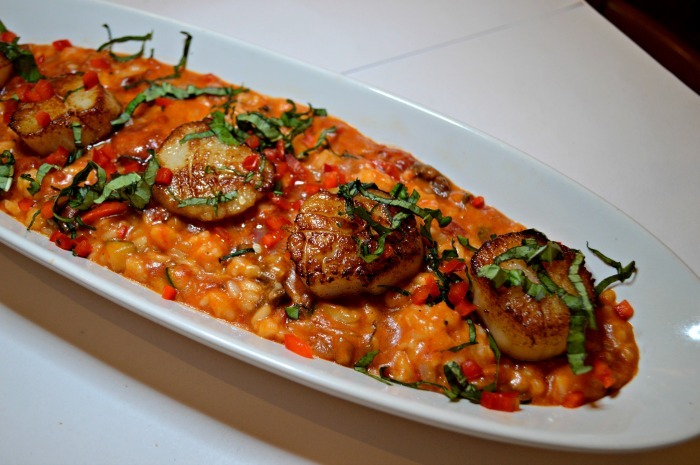 One thing I love about risotto is that you can add just about anything you’d like into it. Along with the sweet potatoes, it had pancetta, oven roasted chicken, asparagus, and toasted pine nuts. It was the perfect marriage of sweet and savory. I’m normally not a huge eggplant fan but I thoroughly enjoyed this appetizer. The shrimp were tossed in a delicious black pepper cream sauce so they had a little kick to them and the eggplant was fried to a golden crisp. 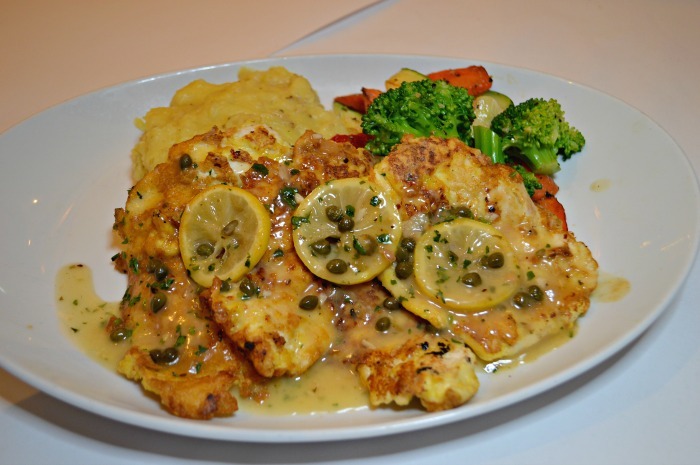 The flavors meshed well together and I very much enjoyed it. I am a sucker for bruschetta! To know me is to know that I love bread so to give me little slices of it doused in olive oil and topped with seasonal yumminess, I am all the way here for it! This bruschetta had slices of pepperoni, perroncini peppers, and mozarella….need I say more? It was delicious! The thinly sliced beef was accompanied by field greens. capers, and a delicious mustard aioli. I’m so happy we had the opportunity to sample some of the classic items from the regular menu. This was my favorite of the two. The pesto chicken was very flavorful and came dressed with red peppers, asparagus, quinoa, farro, cucumbers, chickpeas, tomatoes, Feta, arugula, and a creamy herb dressing. It was very light but so delicious! This was lightly battered, topped with lemon and capers and served with delicious Yukon gold mashed potatoes and roasted vegetables. It was definitely a dish made for comfort. 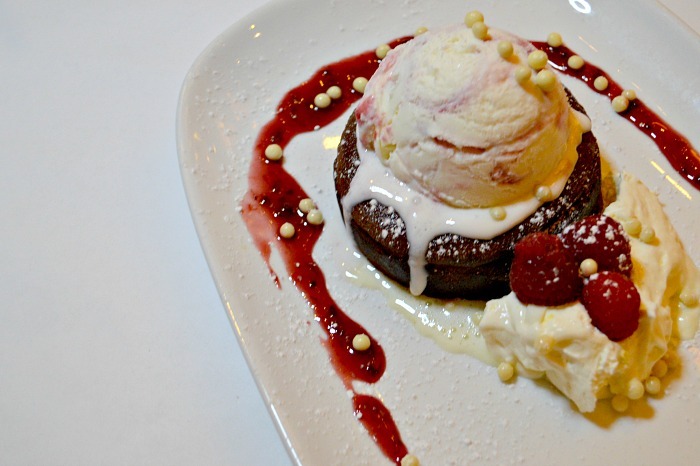 Of course we ended the evening on a sweet note, sampling the new molten chocolate cake with marscapone cream and white chocolate raspberry gelato! Yes, it was as amazing as it sounds. 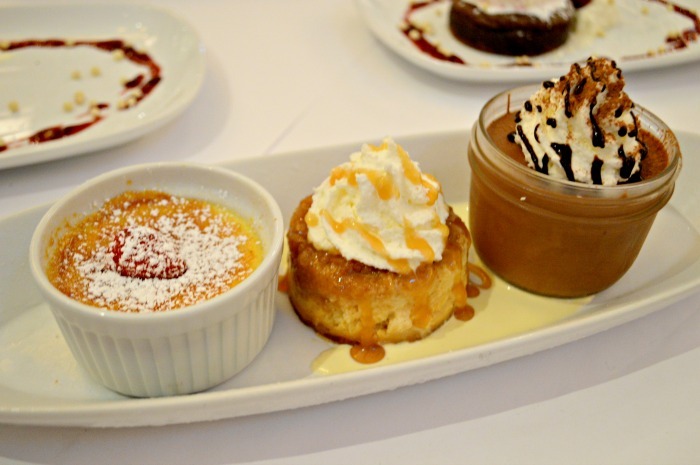 There were also samples of the classic menu trios, Creme Brulee, Chocolate Mousse, and Caramal Marscapone Cheesecake. All of them were sinful to say the least. Sweet and decadent, especially the cheesecake! 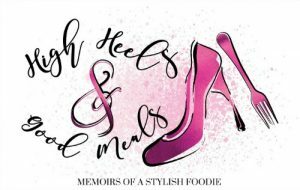 This was an delightful experience and I am very thankful to be given the opportunity to share an evening with wonderful individuals in the name of food! 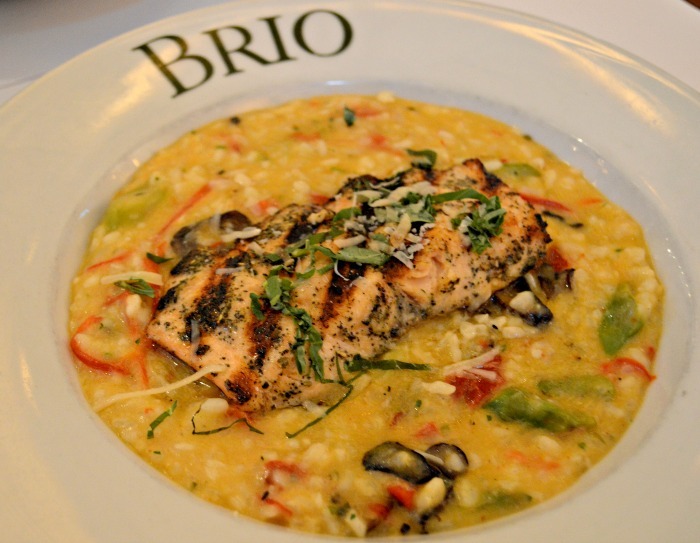 I thoroughly enjoyed sampling each of the new items from the Brio Winter menu. Everything was amazing! As I mentioned earlier, the majority of these menu items, including the risotto dishes and Molten Chocolate Cake are seasonal and will only be available until March 25th. 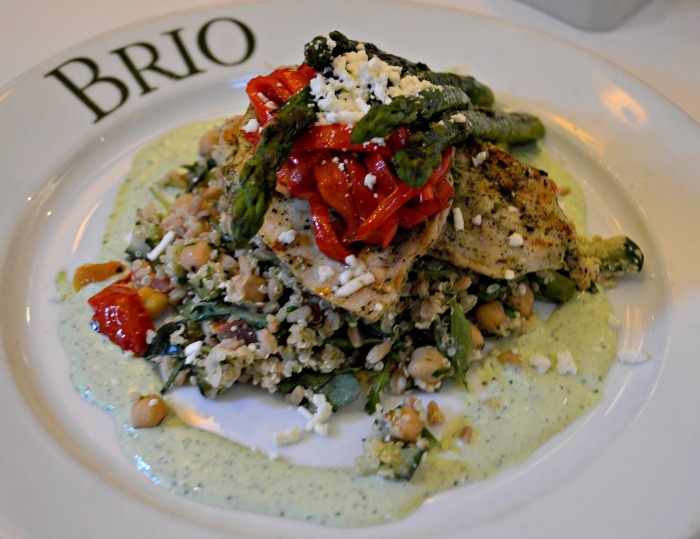 They were delicious and you won’t want to miss out on them so make sure to get out to your nearest Brio Tuscan Grille and indulge in some Tuscan-inspired comfort meals.